.With so many Charleston, SC wedding photographers and anyone and everyone calling themselves wedding professional wedding photographers you must understand that it may be overwhelming for you to make a wise and great decision while seeing most wedding photos that are very similar we hope you will notice that there are very few of us that have mastered the craft of being actually true storytellers. ..You see today with the internet, and the fact that you can create a website in less than a day, and what most Japanese manufacturers like Canon, Nikon, and Sony and many others do not get the proper credit for is how great the technology has become and how easy it is to use that tool. Most of you will fall in love with the wedding images and do not look at key factors. Composition, the wedding photographer (not the camera) ability to light an image properly, the technical craft by being a great storyteller in having decades (that many do not) in documenting your wedding day. The art, the skill & craft..Do I just give myself the title of best Charleston, SC wedding photographers? NO, You have been the judge of that and I thank you ever so very much by giving me the honor and privilege by documenting over 500 weddings, in you seeing the huge amount of various wedding images, and all of the key factors I have mentioned above...If you are going to invest an average of over $3,000.00 of your hard earned money please do more research and look for these key factors. There is no reason why your reception photos should have pixelation and poor color profiles meaning bad facial colors often know has orange-yellow skin tones when it was very simple to learn proper lighting flash techniques, and proper color balance. Yes, there are too many bad wedding photos like this and you really should expect way more. 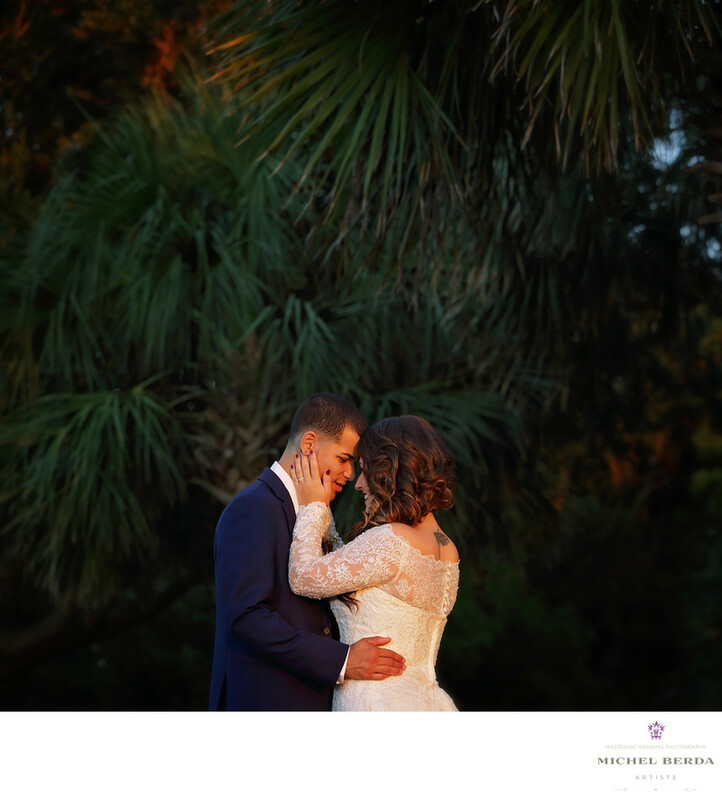 After all, you deserve it you are making an investement for your family heirloom.Keywords: Charleston (1179), charleston wedding photographers (15), Michel Berda (1140), photographer (1125), Wedding Photographer (1254), Weddings (168).